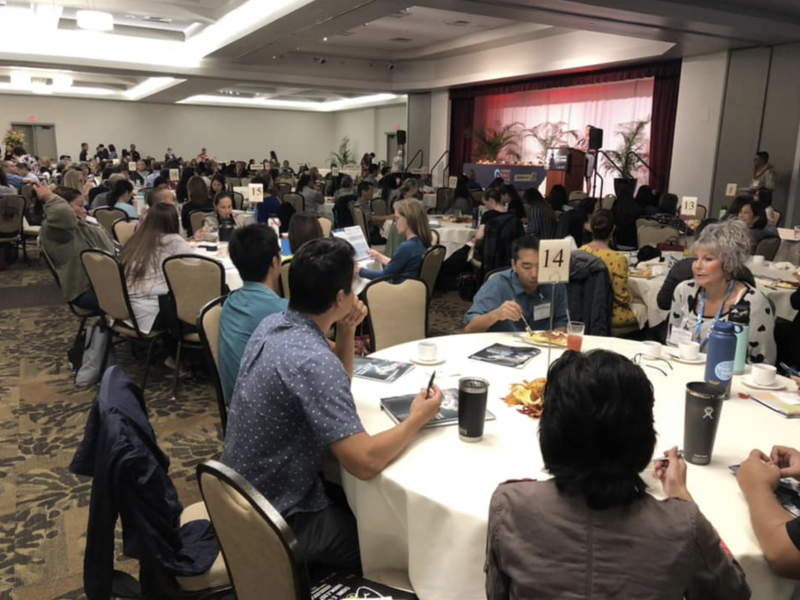 HONOLULU, OCTOBER 30 — Today, more than 200 Hawai‘i teachers, school administrators, law enforcement officials, and public health advocates attended the state’s first-ever conference addressing the rise and health risks of youth vaping. The sold-out event, organized by Hawai‘i Public Health Institute and funded through a grant from Hawai‘i Community Foundation, comes as youth vaping rates have reached alarming rates, capturing the attention of media outlets and demanding the attention of national, state, and local decision-makers. Hawai‘i has the third highest rate of youth e-cigarette use in the nation with 25 percent of high school students and 15 percent of middle school students regularly vaping. Lifetime e-cigarette use among high school students was at 17 percent in 2013, and 7.9 percent among middle school students. That is a 50 percent increase among high school students and 90 percent increase among middle school students in just four years. Featured at the Clearing the Cloud conference were Dr. Brian King from the Centers for Disease Control and Prevention’s Office on Smoking and Health, Dr. Bonnie Halpern-Felsher from Stanford University, Annie Tegen from Campaign for Tobacco-Free Kids, and Forrest Batz, PharmD, who has been a public health champion in Hawaii’s cessation community. All had a similar message: History is repeating itself. Marketing is out of control. Our youth are at risk. View images from the Conference here. In June 2018, Hawai‘i Public Health Institute launched the #808novape counter-marketing campaign to combat the reckless and unrestrained marketing of e-cigarettes in the state. As of this morning, the campaign has been rolled out via movie theaters, mall displays, radio ads, and a massive social media campaign that has meaningfully engaged more than 50,000 youth. The campaign will continue into 2019 thanks to a Tobacco Prevention and Control Trust Fund grant through the Hawai‘i Community Foundation. 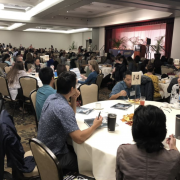 Coalition for a Tobacco-Free Hawai‘i, a program of Hawai‘i Public Health Institute, is a national trailblazer in reducing tobacco use through education, policy, and advocacy. Hawai‘i Public Health Institute (HIPHI) is a hub for building healthy communities. HIPHI helps others build capacity by providing issue-based advocacy, education, and technical assistance through partnerships with government, academia, foundations, business, and community-based organizations.